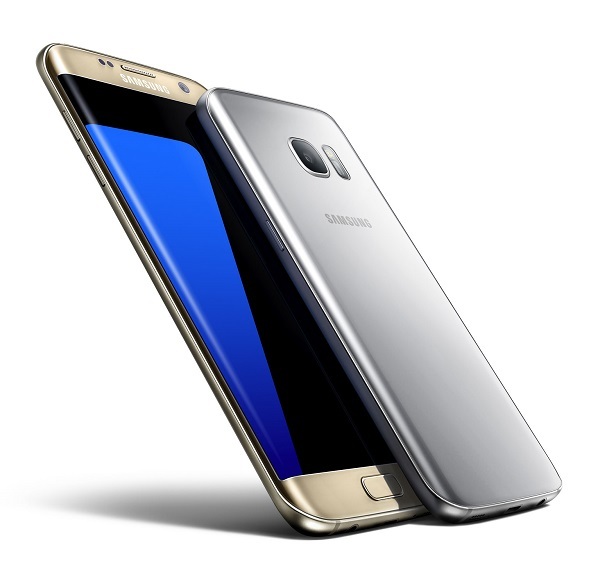 MWC 2016: SAMSUNG Galaxy S7 and S7 edge announced with Always-On Display. Samsung Electronics today announced the newest additions to the Galaxy family of products, Samsung Galaxy S7 and Galaxy S7 edge. The Galaxy S7 and Galaxy S7 edge lead the industry with a refined design, more advanced camera features, water resistance, and external memory. The 5.1-inch Galaxy S7 and 5.5-inch Galaxy S7 edge are constructed with 3D glass and metal - all in a sleek design with durability and ergonomic curves for a comfortable grip. From work to play, the device's new Always-On Display, gives users a simplified, zero touch experience where they don't need to worry about missing a call or important notification. Without compromising design, Galaxy S7 and Galaxy S7 edge both have increased utility with IP68 water and dust resistance. Edge UX, the advanced edge experience available on Galaxy S7 edge, provides convenience and increased efficiency by creating easy shortcuts to users' most loved functions such as email, selfie mode, panorama mode or third party applications. Samsung also made significant hardware and software updates to optimize gaming performance on Galaxy S7 and Galaxy S7 edge. The powerful processer and bigger battery capacity ensure longer playing time, and the internal cooling system keeps the device from overheating. Game Launcher, a new add-on for gamers, allows users to manage battery consumption and minimize notifications. Additionally, users can record their gaming experience or share their screen to play with others.